Algoma University’s was bustling last week as 40 Aboriginal students from across Canada participate in the 2016 First Nations Inuit Youth Employment Strategy (FNIYES) National Aboriginal Science Camp – Sault Ste. Marie, sponsored by Indigenous and Northern Affairs. Students aged 12–15 from various provinces, who have demonstrated a keen interest in science and technology, took part in this one week camp. The camp helps First Nations and Inuit youth gain employment skills while also introducing them to new career paths and opportunities. Students participated in a sacred fire ceremony with an elder and a visit to the Shingwauk Residential Schools Centre to learn about the history of the Shingwauk and Wawanosh Residential Schools. 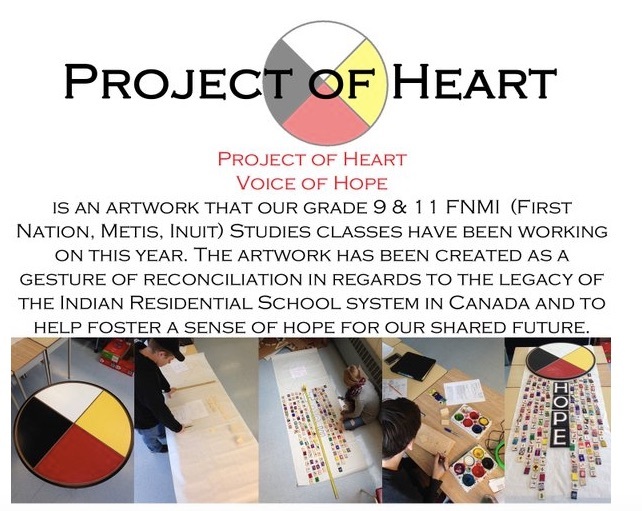 As part of this experience the students participated in Project of Heart and created wooden tiles as a gesture of reconciliation.